How Strong is Your Motivation to Lose Weight? Boost it with these Easy Tips! The motivation to lose weight is FOOD for your brain. Like real food, you can’t get it ALL in just one sitting… You need daily TOP-UPs of tasty “morsels”. No matter your reasons, your motivation to lose weight is the main key to quick weight loss, getting back in shape, toned and vibrant. Why? Because a strong weight loss motivation allows you to easily carry out the new habits that will transform your body in the shortest time. In contrast, when you lack motivation you experience a great resistance – even to the simplest changes. You keep self-sabotaging (subconsciously) the healthiest behaviors you previously decided to adopt. In fact, you aren’t able to stick to your weight loss plan, no matter how clear and effective it is. Ultimately, a chronic lack of motivation may be a reason you’re not able to lose weight. As you can imagine, the recipe for peak weight loss motivation includes a fair amount of self motivation skills – more about these in a bit. First, let’s see how you can keep your motivation to lose weight up (or how to get it in the first place) when you need to get going with the daily actions of your weight loss plan, okay? 1. Set realistic goals: aim to achieve a sensible target – doable with a little stretch that you can (and are willing to) commit to. 2. Set up an empowering environment: you’ll be pulled forward instead of forced to push yourself when you surround yourself with like-minded friends and use supportive activities. 3. Reward yourself by celebrating your “little” successes: use intelligent “treats” to keep looking forward to hit the next goal. Let’s take a look at each of these and give you more details and examples. Once you understand that to set yourself up for success you must choose practical, doable goals that you can actually achieve, you can easily attain goal after goal and continue to generate a strong motivation to lose weight. In contrast, when you pick unrealistic weight loss goals that you can’t possibly pull off, you just prove to yourself and to others that you have failed. Again. When this happens, your weight loss motivation plummets. Besides, trying to be like some skinny movie celebrity and turn your body into a shape you physically cannot achieve, creates needless stress and pressure for you. Stress and pressure – along with previous failures – are the sure death of your motivation. It’s true, media dictates how you’re supposed to look like, but you are smarter than this… Settle for a weight that is optimal for you, don’t try to look like those skinny models. A weight that is optimal for you NOW, not what it was 15, 20 or even 30 years ago! Forget about getting into your wedding or prom dress again if you gave birth to three kids since then. Forget about losing 30 pounds in 30 days. Let’s face it. It’s not gonna happen. Instead, set realistic goals that you can easily achieve. Go ahead and hit these targets – this way, you’ll immediately create a trail of small successes that will pull you ahead. When you imprint a habit of success on your mind, achieving the next goal keeps getting easier. For example… put together a weekly plan with small nutrition and fitness goals for each day and make them your daily routine. Aim to feel your clothes loosen up just a bit every day… to be only 2 pounds lighter each week. Now, that IS doable. This gives you something easy to go for without triggering self-sabotaging resistance or creating excuses. If you’re ready to get serious about reclaiming the body you want, surround yourself with a helpful support system – this will keep your weight loss motivation at its peak. Spend time with like-minded people, read inspiring weight loss books, listen to empowering coaches, watch motivational videos. Here are just a few of my favorites: Tony Robbins, Jonny Bowden, JJ Virgin, Harv Eker, Jillian Michaels. Because NOW is the time to get sound information on the right reasons to drop the pounds, eat better to lose weight, get fit and on how to use powerful mind-body tools that help you achieve your weight loss goal. Diffuse daily stress through any relaxing activity that positively impacts your emotional health. Whether it’s playing with a pet, gardening, swimming, doing a sensual Hula Hoop workout, meditation, a yoga or tai-chi routine, or simply by walking in nature for 20-30 minutes, the mind-body connection kicks in washing away most mental or emotional stress – both of them huge motivation dampers. Pick your favorite from these fun exercises to lose weight quickly – they are meant to boost your endorphins levels and boost your motivation big time. Consider using a self-hypnosis audio – this will give you a calm, centered and serene feeling. You can use it upon returning home from work before dinner, at night before going to sleep, or even on your break time at work. Put your headphones on and take a few minutes to fully breathe it in. You’ll be amazed at the positive impact of self-hypnosis for weight loss on your motivation. 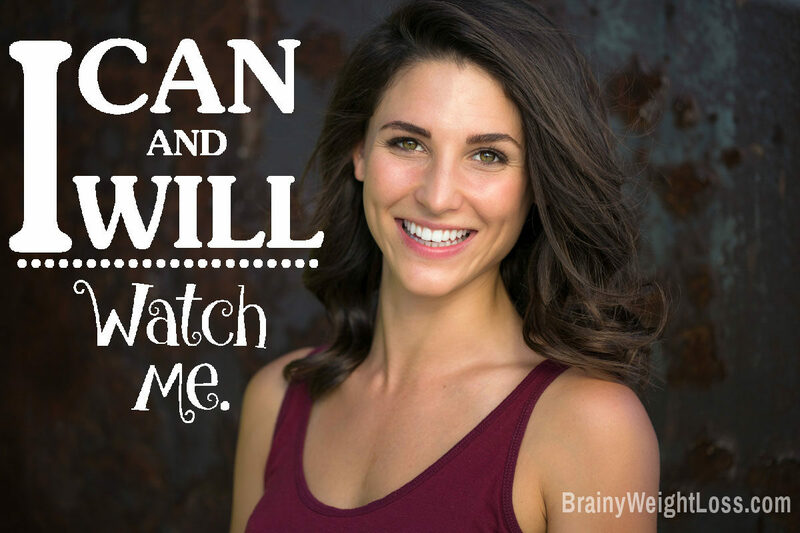 Use this list of affirmations for weight loss or personalize it for you. Read it while visualizing yourself trim, toned and fit. Imagine yourself doing new things, in your new body, with a renewed vitality – your motivation will soar. Surround yourself with supportive friends getting together to share a healthy meal, a fun walk in the park, a few laughs over some old weight loss jokes 🙂 In fact, laughter benefits contribute immensely to increasing your motivation. Or, take some dancing classes together, or just call or SMS each other for brief encouragement when either of you feels down. Always remember… you are not alone! Join an online forum about weight issues and fitness – staying connected with like-minded people will boost your motivation to lose weight more than you can imagine! And if you want to get really serious about it, get a fat loss coach. 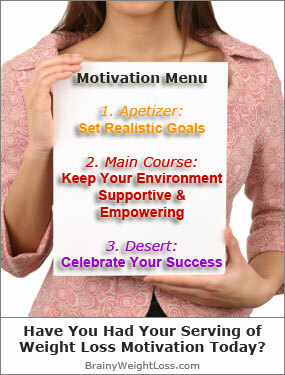 Motivation to Lose Weight Tip #3: Celebrate Even Your Smallest Successes! As you have surely found out by know, working out and keeping fit requires a high level of weight loss motivation. Top it up regularly by celebrating your midway goals – but not with sweets or restaurant treats! Reinforce your new, healthy habits with smart rewards like these – now and then – to boost your motivation to lose weight and help you go the extra mile. Is Your Emotional Health Triggering Emotional Eating? How do Weight Loss Affirmations Work? Water vs Coke Comparison: Joke or for Real?